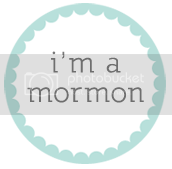 LDS Primary Chorister Ideas: Oh, my heck...I'm so excited! Oh, my heck...I'm so excited! This is another one of those random, nothing to do with primary posts. Forgive me if you thought this was going to be useful to you at all...it probably isn't. But I'm excited! In my last random post, I referenced my bucket list. I actually did a post about it on one of my other blogs, but that was only my teenage list. My grownup list is so much better. And safer. Anyway, one of the things on my grownup list is to open a preschool. I just love teaching kids (which is probably why I loved being a chorister! ), and all of the sudden the opportunity is just falling into my lap. Yep. I'm opening a preschool!!!! Oh, man. It's awesome. A couple of gals in my ward have been running a preschool for the last 10 years, and a few days ago I found out that this is going to be their last year. After some prodding and encouragement from my mom, I got up the courage to call these ladies and ask if they would mind if I sort of picked up where they are leaving off. They have been so gracious and helpful, and I think with their help I'll be able to transition really easily. So, it's off to the races! I might be a little preoccupied with preschool stuff for a while, but I still have a bunch of things in the works here, so I'll still be around. Are any of you preschool teachers? What advice can you give me? I'd love all the feedback I can get! Congratulations and best of luck! Check out the blog notjustcute.com. Amanda Morgan is an early childhood development specialist and the blog is geared towards teachers and parents, and she runs a preschool. She has amazing ideas. I enjoy this blog- thank you for your time and effort! Thank you so much, Kimberly! I will definitely check it out! I love your blog! And I am interested . . . what ages are you taking and where are you located? I'm in PG and have a little girl who turns 3 in Sept, so am looking for a 2 day a week preschool . . . I have a class for 3 year olds! It's Tuesday/Thursday from 9:30-12:00. I'm in AF, just south of the Jr. High. I have a blog with all of the information, you're welcome to check it out! It would be so fun to have her! I'm a Kindergarten teacher in So. Utah. My advice to you would be to get a copy of the common Core & plan your curriculum around that. It makes my job so much easier when the kids come in knowing the info. that they need to know so that I can provide them with some review then go on teaching the Kindergarten info. There is a wonderful book that you may be able to get your hand on from the State Office of Education. I'll have to get the title then pass it on. IT'S WONDERFUL!!! A perfect outline that shows what they should know/learn in preschool & how it continues into Kindergarten. E-mail me & I'll get you the name! Good luck! You will be amazing! Oh my goodness, what a small world. My sister is in your ward! I found this site as I was looking for ideas for primary and just read this post and the comments. It sounded all too familiar and so I called my sister Erin (Lori's neighbor) and asked if I was reading a blog from someone she knows! Crazy! 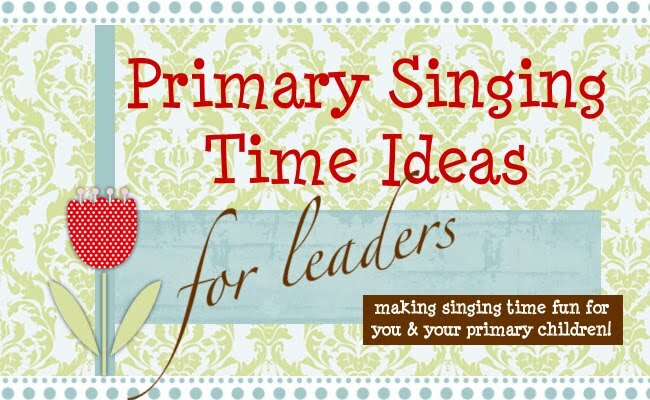 Good luck with your preschool and thanks for the great ideas for singing time! That's hilarious! I love Erin - and I have David in my cub scout group :) The church really does make the world feel very small! Hi, everyone! As you browse through posts, most of them will have links to printables. In order to access them, you will need to be logged into a Google account (gmail). All of the PDFs are uploaded to Google Drive. If you do not have a gmail account, send me an email at afprimarymusic@gmail.com and I will send you the PDF as soon as I can. This might be inconvenient, but Google is the most universal place for me to put everything. I'm happy to help you - please don't be impatient or annoyed if links aren't working. Thanks! Sharing a song is fun to do! Can't get something to print? Come, and be my friend!